Budgeting your money is a great way to gain control over your finances. Making a budget at least once a year will give you a financial snapshot of where you stand. Your budget will help guide you toward smart decisions with your money that can secure your financial future. The first step to creating a budget is to calculate all of your income. Decide first whether you are going to do a monthly budget or a yearly budget. Working with a monthly budget tends to be more accurate over the long haul. Determining your income will help you determine if you are spending within your means. The next step is to calculate your expenses. Include every bill that has to be paid on a monthly basis. If you decide to do a yearly budget, you can multiply your monthly expenses by 12. The goal is have your expenses come out to less than your income. Having your expenses exceed your income means you need to make some cuts to your budget. Another important aspect to a good budget is prioritizing your expenditures. Food, clothing and shelter should be among the expenses that are paid for no matter what. Your other bills, such as credit card debt, should be among the second tier of expenses that need to be paid. Money for entertainment and other discretionary spending should be last on the list. Unpaid credit debt can have an impact on your budget. Make sure that you are including this debt as a payment in your budget. 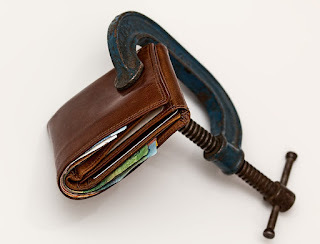 Credit card debt is one of the leading causes of bankruptcy in America today. Not accounting for this debt can cause serious financial problems in the future. Paying off your balance in full each month will allow you to eliminate the interest that accrues each month on any unpaid portion of your balance. Budgeting your money should be a habit that you get into as soon as possible. You always want to know where your money is coming from and where it goes. Not knowing this information could lead to making bad financial decisions over and over again. Creating a solid budget will ensure total control over your finances.